Comment on About Me by farnaz. Not everything works for everyone, we each need to find the path that is right for us. You can’t look at the problem in order to find a solution. The energy of the problem is very different to the energy of the solution, so looking at your health issues will probably just cause more health issues. Have you noticed this yet? Thinking positively about a problem doesn’t work in my experience, as it’s a bit like we are fooling ourselves, when deep inside we have the negative feelings associated with the illness. The way i healed all my health issues was by letting go of a lot of struggle i had, and i instead turned my focus to following my passions, and whatever felt good at the time. 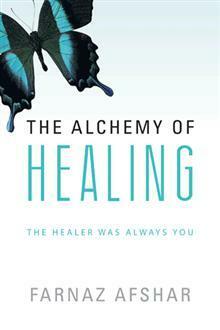 I have outlined it in detail in my book The Alchemy of Healing. It’s not something i can explain in one comment to you. But to summarise, your emotional state needs to improve, before your physical state can improve. So you need to find ways of uplifting yourself, and feeling good more, and slowly your body will heal and repair. “Positive thinking” is not the solution, but i know many people think it is! You should read my other articles on self healing as well, as i describe how to start the process. Hello Sharice, nice to meet you! Im so glad you know nothing is a coincidence, i expect that this book will open up your world to more than just physical healing. Others who have read it and continued their learnings by practicing self love have found success in health, wealth and relationships. Hello Jaswinder, it’s great to hear from you! I always appreciate feedback on my book. I am so pleased the book has inspired you, and i would love to know how else it has helped you.